is perfect for brass musicians looking to further their skills and musicianship in a fun and challenging atmosphere that builds on the excellence of local school band programs. This type of ensemble allows each player a higher level of musical engagement and responsibility than is typically experienced in orchestra or band playing. It also completes our collection of ensembles and provides a pathway into our Youth Orchestra and advanced ensemble, Novae Sinfonia. *All new students must audition for placement in the SCV Brass Ensemble. *You must complete the online audition request form and pay the audition fees in order to be scheduled for an audition. You will receive an email confirmation of audition date and time once your form and fees are received. 🎵 WHO DOES NOT NEED TO AUDITION? 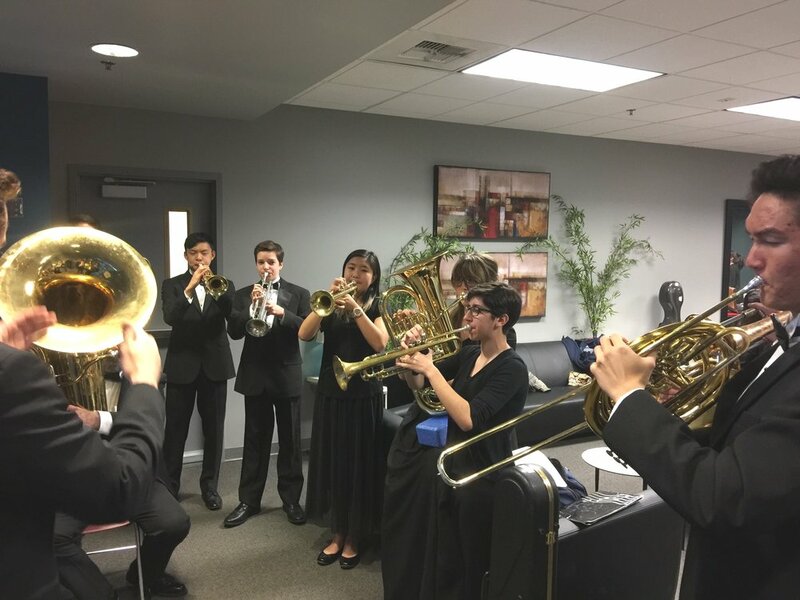 🎵 All students who participated in SCV Brass Ensemble ensemble during the prior semester do not need to audition. Continuing students must fill out the online enrollment form prior to in-person registration. Advanced Brass students are strongly encouraged to be dually enroll in Novae Sinfonia.